These PS4 numbers are no joke. I guess that they don't make a very large contribution to the bottom line yet. If your selling a million download only games a week and you getting 3 dollar commission on average, that means 3 million a week for around 13 weeks contributing 39 million while at the same time it would almost double the software shipment number from 18 million to 31 million. Clearly we need a crossover between ARMS and Splatoon. Yeah, that could be, but wouldnt they seperate those things in their earning reports in that case? I just checked the .pdf from Nintendo and they do actually mention how much they made from digital content in Q1. Its 18.5 billion yen, or about 166 million US dollars. It also says "Software sales units include both packaged and downloadable versions of software" as a note to the 17.96 million units of software sales. I read that as both package/retail copies and download only versions. It means both digital and retails sales of games that have a retail presence. It doesnt count digital only. I see. Thanks. I find it strange that they dont disclose this information. I guess the closest thing is the earning from digital content in general ("*4 Includes downloadable versions of packaged software, download-only software and add-on content"). 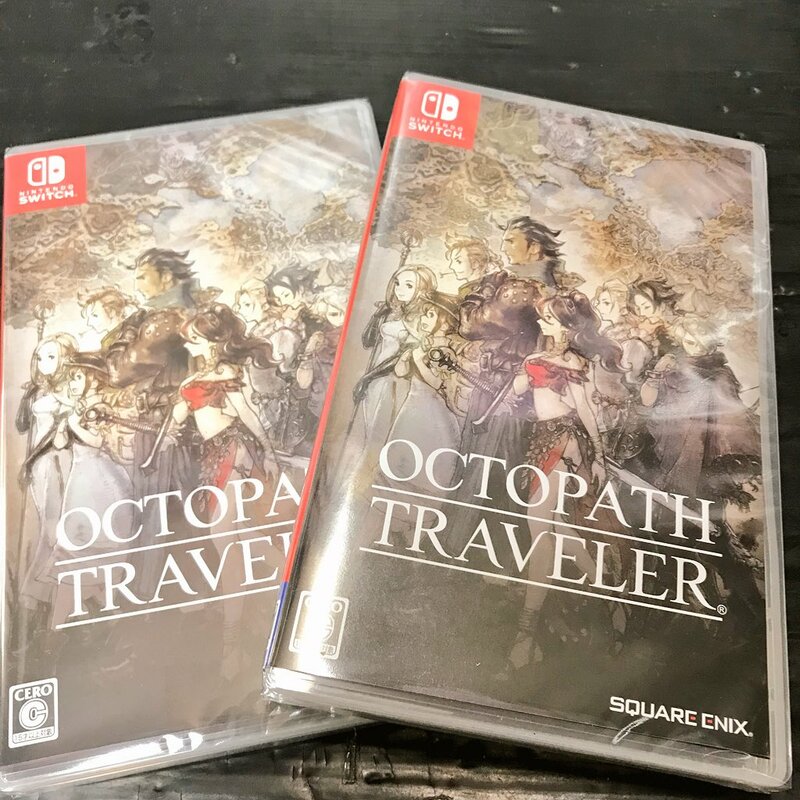 There were restocks at many retailers for Octopath Traveler today. If copies last until tomorrow and don't disappear again wee can say this will be a good week. I believe it was figured out that it means digital and retail sales of games that either have a retail version, or have a retail version planned/announced for the future. So Minecraft sales would be on there from last year because it was planned to have a retail version. The number of available SKUs wouldn't add up otherwise. A thread with this graph in the OP would get people banned. Using Street Fighter 5 as comparison isn't doing Arms any favors for its performance. Richmond, UK – 30th July, 2018: BANDAI Namco Entertainment Europe and WITCHCRAFT announce a brand-new adventure/tactical RPG for PS4, Xbox One, Nintendo Switch and PC Digital - Digimon Survive. Updated Japanese numbers for Splatoon 2, Breath of the Wild and Mario Odyssey at next quarter, all of them will break 1m ww at 6 months period, maybe Kirby too. 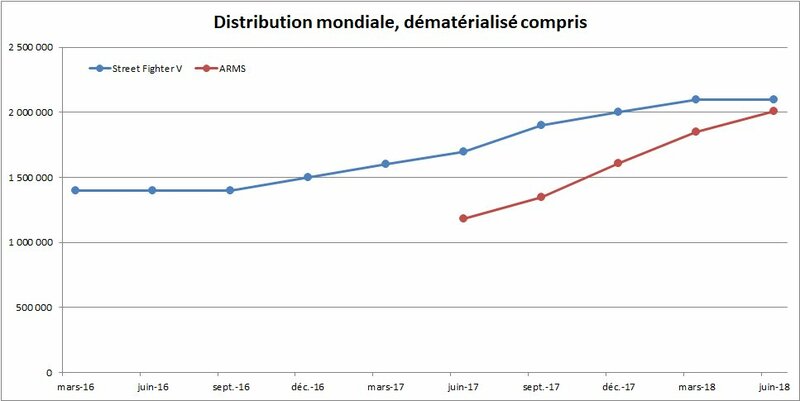 Lol I remember some people saying ARMS wouldn't be able to sell more than it's initial shipment. The game did get it's share of negativity, but I'm glad it was able to sell more than 2 million and it can only go up from there. Best character designs I have seen from Nintendo in recent times. Kirby really is impressing. Should be around 2.4-2.5 Million before holidays won’t it? For every title you see on going support from Nintendo you can expect good sales. Why not? Nintendo's made sequels on the same console before. 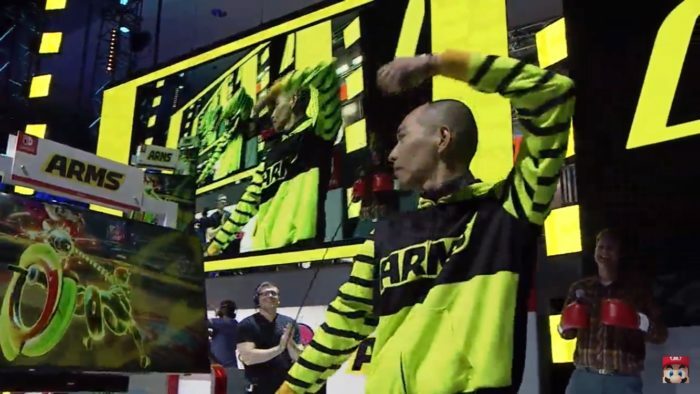 There's no reason ARMS can't get a Switch sequel. Genuine question, have they made sequels of multiplayer games on the same console before? EDIT: Does Wii Sports/Wii Sports Resort count? The Mario Party line comes to mind but yeah it is unusual for them to do so. Overall though, multiplayer sequels on the same console seems to be the exception, not the rule. Yeah, it's good to see that the game is doing well. I mean, while I could theoretically see EPD Kyoto getting away with launching ARMS 2 in 2020 or so, it's more likely that they'll save it & MK9 for the next system. Not traditionally, but ARMS stopped receiving updates months ago, and given that Nintendo's gone on record to say that their games need to have more constant updates, it leads me to believe that ARMS 2 is coming much sooner than everyone thinks. I mean, while I could theoretically see EPD Kyoto getting away with making ARMS 2 in 2020 or so, it's more likely that they'll save it & MK9 for the next system. But there's no real reason not to make a sequel now, especially since Nintendo is relying more on content updates to support their games now. I believe ARMS 2 is coming simply because the game no longer gets updates. It stopped getting character/stage/ARMS updates, yes. But since the end of said updates, we've gotten new modes & even an extension on Party Crash support. Last update IIRC was back around March or April, and was possibly already finished prior to that. As for Party Crashes, they don't cost much to run, thus they're a cheap way of keeping the game on life support until the next entry arrives, which again, will be much sooner than everyone thinks. Hedlok already has 6 arms, just give him two more! And I continue to assert that the only way ARMS 2 will hit the (current) Switch is if it introduces a new gameplay mechanic that changes the dynamics of the meta, even if I can't think of what it could be. If it's just new characters/stages and a few game modes, it'd be easier to introduce that as DLC and avoid splitting the player base. I think what TheMisterManGuy is mainly saying is that Nintendo would stand to gain more by making a bigger impression up-front with ARMS 2 having a ton of more content (story mode, more characters, etc.) than they would adding more to the original game. With that said, I do agree that Nintendo may avoid splitting the player-base unless there's a huge mechanical change that they want to introduce. It does not make sense to do an ARMS 2 in Switch. Any. If people are so desperate for a story mode and look for a narrative where it fit, they should ask for an octoexpansion. Arms seems like Pikmin in that EPD should probably just outsource those games because they're not as popular as Mario and Zelda and Animal Crossing and Splatoon. Not necessarily that. You see, ARMS is a great game, but it's more a great proof-of-concept than a game with serious longevity. It plays well and looks great, but it being a first entry, it feels somewhat rough. A sequel has a chance to make a ton of refinements and improvements to the gameplay. Like making the ARMS travel speeds faster, doubling the arena sizes to compensate for it, adding special abilities for each character/ARM using simple Joy-Con gestures, a deeper combo system, and a host of other technical and gameplay improvements/changes/additions that could really make ARMS blossom not just in the FGC, but also among casual gamers. Lol why? EPD is more than capable of making anything they want. They're not strictly a Mario and Zelda house. Since few arrival, purchase as soon as possible! it will be sold out today, please come see us as soon as possible. I think its too soon for that. Animal crossing didnt start with a huge selling potential but sales increased significantly with later entries. Zelda has been a 5 to 7 million seller for a while now but now were looking at a potential of 20 million. Pikmin had several entries by Miyamoto and they are still interested in that IP. They need to work on some things for ARMS but the potential is there. I think it deserves a second chance with a bigger budget. I don't see the potential personally but I guess they can give it another chance before deciding to mostly outsource it. Nintendo only turns to outsourcing if they have no ideas for a series internally. Even then, it's very rare that they'll turn to an outside studio for one of their properties, as it's typically vice versa. Since Yabuki has love for the IP I doubt that will happen. He probably has ideas on how to make the game bigger. You may not see it, but there is definitely potential especially in the characters and the world. I mean, it's a 1v1 game with no interesting randomization elements so anyone who isn't good at fighting games immediately gets destroyed which doesn't seem growth friendly to me and which seems wildly different from all of Nintendo's other successful multiplayer games. We'll see how well it does if they actually include a long story mode next time though I guess. The full line up might not be clear until January, I felt like I was the only one expecting Kirby for March instead of the following FY. Kirby was already known it didn't appear suddenly. With the exception of Labo that will have its own spot and maybe Nintendo 64 Mini everything from these or unannounced that will come out until March will be at next direct. I think Metroid Prime Trilogy, Mario Maker 2, and Fire Emblem Three Houses would be a great Q4 lineup and. New Super Mario Bros DX seems like something this year in my opinion. It's weird to have two 2D mario platformer releasing in a short timeframe. I think there has been some bogus informations in the mix. Mario Maker 2 could happen in Jan-March, but that seems REALLY close to NSMBU Deluxe in possibly late October so I think June would make more sense. Mario Maker is more of a meme game than a platformer most of the time, but it's still fairly similar to NSMBU. Fire Emblem looked really far away so I would guess May or June also. It looked pretty rough. I think Prime Trilogy will come out between January and March though. Maybe it is both games packaged in one ? I dont believe it but that would be great. Mario Bros. being an enchanted port and not a brand new entry makes everything clear. Still. 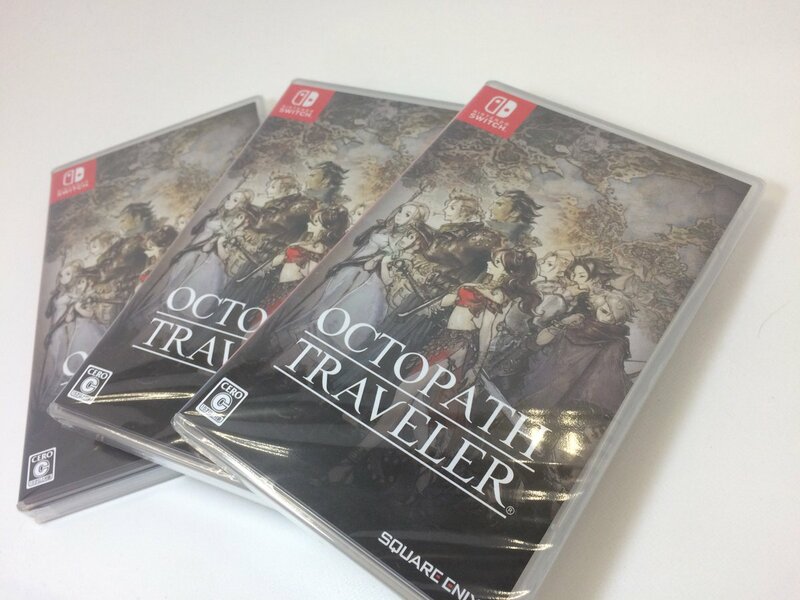 Old ports have been marketed and sold as new entries on Switch, I don't see the hypothetical NSMBUDX not being the same, especially since it has a bigger sales potential than the others.